Sotheby's American evening art sale on Friday (16 November) revealed how spotty the current market is—and how quirky the buyers. Perhaps the American Art Fair (10-13 November) a few blocks away or the epic sale of Barney Ebsworth's American collection at Christie’s earlier in the week exhausted spirits and wallets. The sale made $44.1m (with fees), well above the $19.4m it brought in last year, but with 25 of 82 lots failing to find buyers. Edward Hopper's last painting, Two Comedians (1966), sold for $12.5m (with fees), below its $12-18m estimate before the buyer's premium and a mere fraction of the $91.9m paid for the artist’s Chop Suey (1929) at the Ebsworth sale. Where Chop Suey is iconic, Two Comedians is valedictory. They are both great pictures, but markets are funny things. To wit: Horace Pippin's Holy Mountain I (1944) is a derivative painting by another artist in vogue right now, and it soared to $3.2m (with fees), which represented nearly double its high estimate. 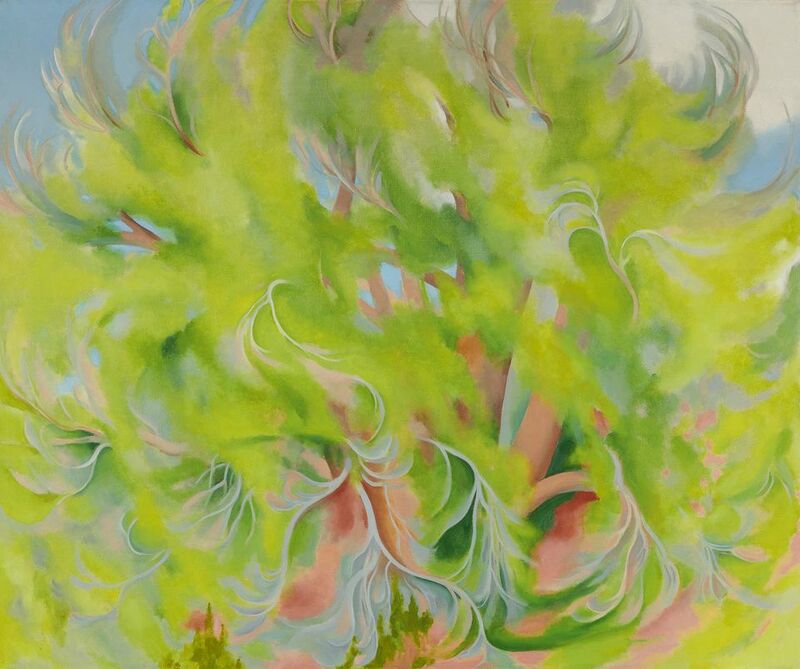 Meanwhile, Georgia O'Keeffe's Cottonwood Tree in Spring (1943) went in spirited bidding for $3.8m (with fees)—well above its $2.5m high estimate. It is big, pretty and unimportant, with the odd and unflattering distinction of having been deaccessioned not by one museum but by two. The painting was one of three works by the artist up for sale from the Georgia O’Keeffe Museum. Interestingly, the other two—A Street and Calla Lilies on Red, both included in Sotheby’s contemporary evening sale and more recognisably “O’Keeffe”—hammered for well under their low estimates. 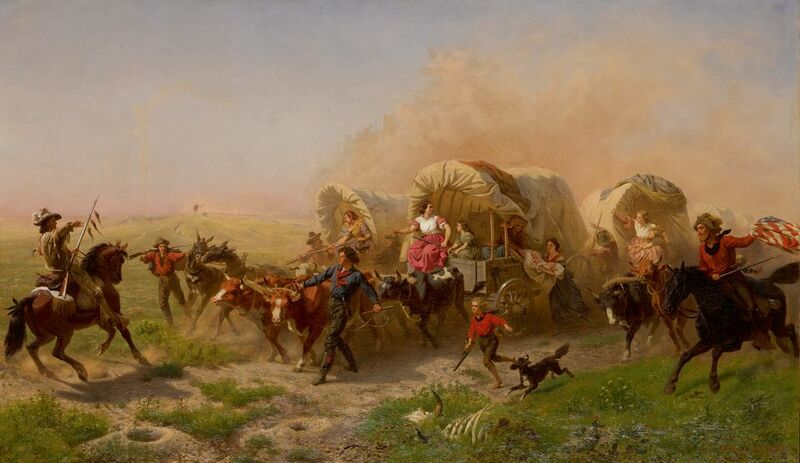 An undeniable stand-out sale from the evening was Emanuel Leutze's Western Emigrant Train Bound for California Across the Plains from 1863. The painting is pure, red-meat Americana—it has danger, heroics, horses and flags. It was fresh meat, too, having come to market after being in the same private collection since 1943, and it is beautifully painted to boot. As a fine American history painting, it is part of an undervalued genre. It sold for $4.8m (with fees), galloping past its $2.5-3.5m estimate and marking a new auction record for the artist. There were plenty of other new finds for sale, but many did not fare nearly as well. The collection of William Benton, a Connecticut businessman, US Senator and diplomat, offered good works by Reginald Marsh and Thomas Hart Benton that went unsold. Portrait of Nan by Grant Wood, also from the Benton collection, was inexplicably pulled from the auction. Despite the fact that a still life by Charles Sheeler nearly doubled its estimate at Christie’s Ebsworth sale, a beautiful farmhouse painting by the artist from 1946 went for $615,000 (with fees) at Sotheby’s sale, just below the low estimate. A duo of lovely Winslow Homer watercolours had mixed endings: The Life Brigade was bought in when it didn’t reach its $1.5-2.5 million estimate, and the abstract Yacht in a Cove, Gloucester went for $325,000 (with fees), fetching just under high estimate. Two paintings from the Berkshire Museum only just managed to sell. Thomas Moran’s The Last Arrow and George Henry Durrie’s Hunter in Winter’s Wood were both given to the museum by the the Crane family, which founded the institution. The works' deaccession from the collection is a nasty cut to history and civic pride and their lackluster sales—both fetched below their estimates—adds a bit of salt to the wound. It was not a great day for Norman Rockwell. 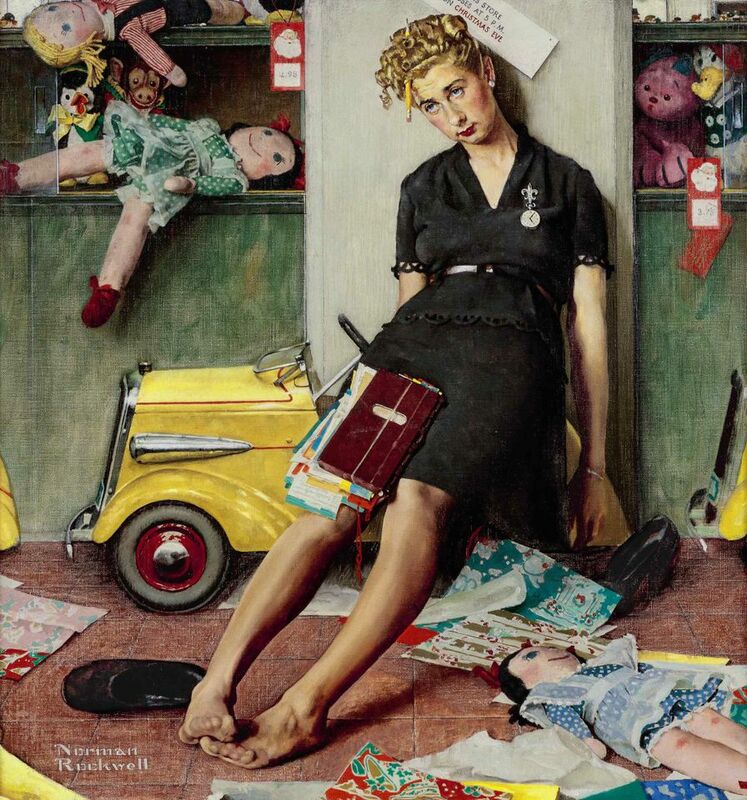 Estimated at $5-7m, Tired Salesgirl on Christmas Eve (1947) sold for $4.3m. Two lesser works by the artist were bought in and another two were weak performers. Are buyers finally understanding that, for Rockwell, these paintings were preliminary works of art? The finished object was the magazine cover, which governed Rockwell's composition and palette at every step leading to it—the artist never meant these paintings to be seen by the public. Christie's American sale is slated for Tuesday (20 November) and it may well be even more anti-climactic. With all the sales activity this week, and on the cusp of the Thanksgiving holiday in the US, its array of good (but not great) O'Keeffe works and Hudson River School paintings might not bring buyers.